As a personal injury attorney in Statesville, NC, I will do everything I can to protect your best interests. Personal injury is a term used to describe injuries that occurred because of another person’s negligence. If you were injured in a car accident, workplace accident, or in any other type of accident, it is best to have an experienced, qualified personal injury attorney on your side. When you work with me, W. Sloan Goforth, Attorney at Law, I will make sure that your legal rights are asserted and that your rights to fair and proper compensation do not go unrewarded. Although there are many benefits associated with allowing me to be your personal injury attorney during your case, perhaps the most important one is that I will be your advocate. This means that I will do everything in my power to protect your best interests, whether I am negotiating with an insurance company on your behalf or explaining the situation to a jury in court. Due to my former experience as an educator, I pride myself on being able to explain complex legal scenarios and jargon in simple terms. When you work with me, I will take the time to fully explain the situation surrounding your case, so you feel comfortable and confident about where it is headed. As a personal injury attorney, it is my goal to make the aftermath of an accident as stress-free as possible for my clients. I will do the same for you and help you feel less overwhelmed as you recover from the accident. Contact my office in Statesville, North Carolina today for more information about my legal services and how I can assist you. 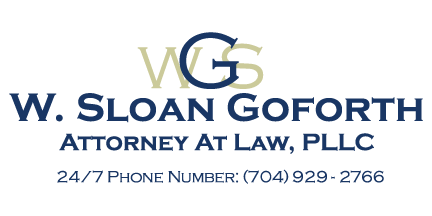 At the office of W. Sloan Goforth, Attorney at Law, our personal injury attorney proudly serves residents of Statesville, Troutman, Taylorsville, Mocksville, Mooresville, Hickory, Iredell County, Alexander County, and Davie County, North Carolina.